The making of local public policies in China is different from many other countries. Deliberation isn’t open, and public input is erratic, even in the provinces where Beijing’s control isn’t so draconian. Decision-making here is akin to throw-switches on generators or pumps that are dormant until something shifts, or someone thinks that they’re needed. The first indication that a decision has been made is often an announcement, but usually simply a clunk, some sound that the local authorities have chosen a particular point to make and that more noises may be forthcoming. In Nanjing the past couple of weeks, the clamor has been about traffic control. And the local government here finds itself with few feasible options to solve its ongoing problem with automobiles. 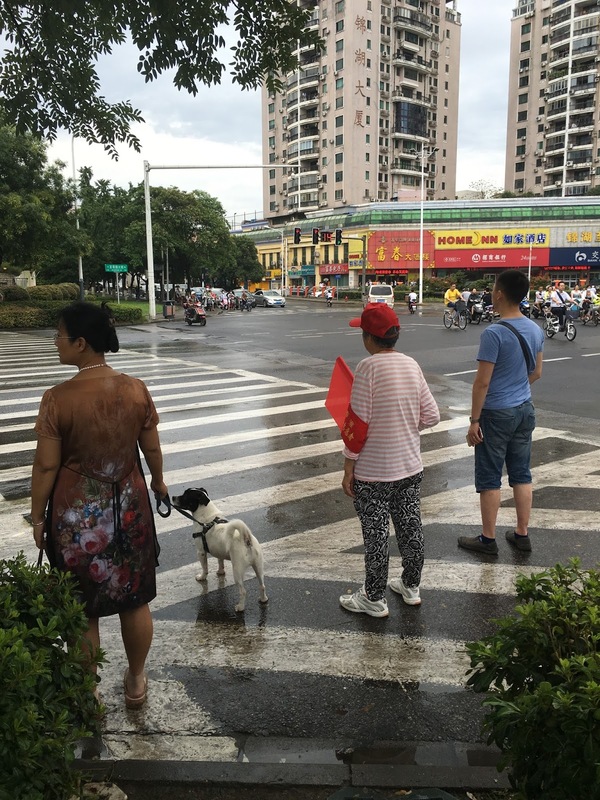 Like many Chinese cities, Nanjing and its incorporated adjacent areas are consumed with cars, in terms of the consequences for drivers and pedestrians alike. There’s no accurate public count of just how many cars in this city of 8.2 million are owned or operated here daily; for all local bureaucrats in China, information is a rare commodity, one seldom shared across offices and with citizens even less regularly. 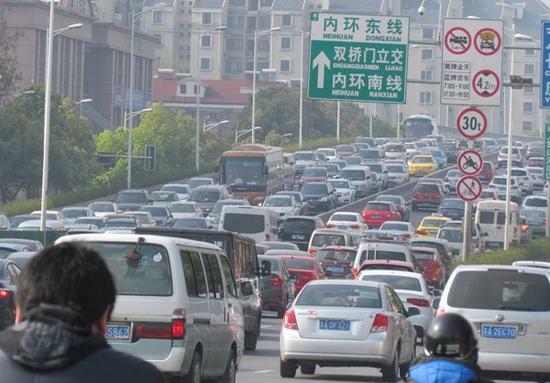 What Nanjing officials do admit is that traffic in the city is getting worse, bottlenecks are more frequent, and frustrations among affected residents on the rise. But crafting actual traffic policy in Nanjing to deal with these issues—that is, seeking to reform the arrangements already in place--means navigating a potholed road. Never mind the politics and the bureaucracy, which are debilitating in themselves; there’s Nanjing’s geography to consider. The city is hemmed in by mountains to the east; the Yangtze River running north and then abruptly east towards Shanghai; and a largely undeveloped southern circle of small forests and hills that have impeded expansion. There’s just not a lot of room to make new roads to re-funnel the traffic flow without a major infrastructure outlay. And with the military occupying vast swathes of property in the city, there isn’t a lot of land available to broaden or redirect existing roads anyway, even if local officials wanted to. At the same time, Nanjing’s natural barriers to an expansion of the road system have actually helped spur an enlightened approach to city traffic management in recent years, which makes major reform difficult to support politically. For example, there are already 3 clean and efficient subways operating, with another major line set to open later this year; the bus system is well-conceived and skillfully supervised; and there are half a dozen tunnels under the city which offer alternative routes for drivers eager to avoid increasingly clogged avenues. Nanjing’s public bicycle system is so widely used that some locations have been running out of bikes during rush hours, and so the city has started to make more bicycles available. The remarkable result of previous policies is that there’s little incentive to fix what’s by now showing signs of starting to be broken, especially because the local government adamantly (and quite rightly) refuses to widen many existing streets lest neighborhoods and Nanjing’s famous plane trees end up harmed. (City authorities at that time tried something of the sort in 2011 that didn’t end well for the mayor.) Too many people own cars and want to drive them, but they’re the same residents who live and work in a city known for being different. So Nanjing authorities have reverted to what they and their urban comrades elsewhere in China often do when reform isn’t easy, but the problem isn’t going away. Campaigns aren’t policies: They are short-term efforts to mobilise attention and resources to a given problem. While many observers of China think in terms of national campaigns—the Great Leap Forward, the Cultural Revolution, Reform and Opening—what local governments here do is to announce that they’re going to take action, without actually making new policy. These days, many of these efforts focus on “constructing urban civilization” or “push on with the project of making city life more civilized” [推进城市文明交通发展]. That’s shorthand for blaming the city’s traffic woes on people’s driving habits and the way they cross streets. This campaign isn’t without reason. 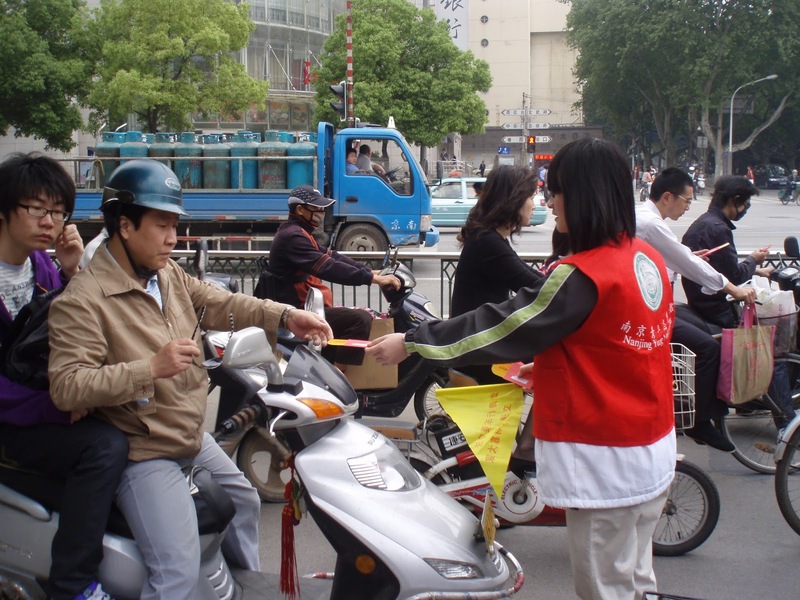 Drivers in Nanjing, polite and law-abiding as some try to be, can be menaces almost as often as those motoring in other cities in China. The same certainly goes for pedestrians here, many of who believe that they’re placing themselves in danger simply by looking to cross the same streets their city brethren attempt to drive on, and so what’s the point of following local regulations anyway? Better highways leading into Nanjing have also meant that many people accustomed to driving in less densely populated areas find themselves flummoxed by traffic conditions in the city, and spend more time looking at their cellphones for directions than watching the road. Likewise, migration from the countryside adjoining Nanjing introduces new residents who have little if any experience navigating a major metropolis and are unfamiliar at best with such accouterments as walk signals. The upside of these campaigns is that something is seen to be done about a current difficulty; officials can—and do--say they took action; volunteers are activated to assist with government work; and the issue receives priority in the local media. Rules are reiterated, or new regulations are announced. Meetings are held, seminars are provided, brochures are printed, and supporters are dispatched as enforcers. For a system that’s not known for inspiring popular participation, this is often as close as it gets to partaking in something political. The downside is that everyone knows that campaigns are temporary. So, the underlying problem is focused on for a fashion and then shunted aside so that other campaigns for other problems can be prepared. There’s hardly ever any follow-up. So, many previous offenders keep to the straight and narrow for now, and wait for the authorities to turn away again. There are indications locally that Nanjing will stop issuing new car registrations, a move which might help the traffic situation. But residents here are skeptical, as they’ve heard the same speculation for at least the last couple of years; many believe it’s just a ruse for them to buy another car “just in case” such an announcement is made. And how such a regulation would get existing vehicles off the streets isn’t at all evident, particularly given the proclivity of some inhabitants to find ways around new rules when they do emerge, such as buying unregistered crypto-cars running on electric batteries. In China’s provinces, both public policy and public deference are temporary conditions. Yes, I agree with the view about the car rental industry where the larger cities are concerned. At the same time, one sees a bit less of that option gaining traction (forgive me) in some of the smaller townships and outlying areas where ownership is very much a face issue and therefore striven for. Thanks very much for the comments, and my apologies for the long delay in responding.